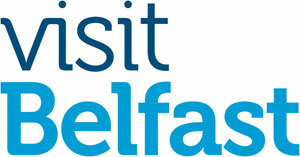 NATIONAL Shield U18 women’s basketball champions 2015, Ulster Elks, will host a first round of the U18 National Cup Competition this weekend at Ulster University’s Jordanstown campus. The event will see the Elks take on opposition from Tralee Imperials and Portlaoise Panthers in their pool games on Saturday at 12.45pm and 4.15pm. Portlaoise, with 6’3″ Claire Melia, who dominated for the Ireland U16 women’s team in last summer’s European Championships in Macedonia, alongside Elks teammate Enya Maguire, will be a force to be reckoned with in the tournament. Melia was a European leader in scoring, rebounding and blocked shots and is currently leaving her mark on the women’s premier league, posting weekly double figures in scoring and rebounding. Tralee Imperials, led by coach Liam Culloty, will be well versed on the Elks, having operated as assistant coach on the Ireland U18 women’s team which had Elks duo Anna Maguire and Verity O’Connor as part of their starting five in their European Championships in Romania. The Elks will be hoping to reach the semi-final and final on the Sunday, which could pit them against Carraig Na bhFear from Cork, Oblate Dynamoes from Dublin or Letterkenny Blaze, three teams which make up a competitive Pool B in the tournament. If the Elks reach the Sunday afternoon final they will make history as the first women’s team from the north to play in the quarter-finals of the prestigious U18 National Cup competition. The Elks are aware of the challenge ahead and know that they will have to attempt this feat without the highly-rated Ciara Cooke. 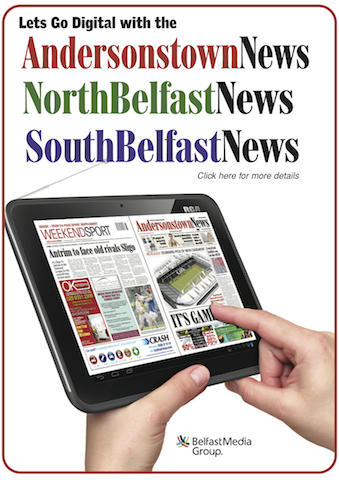 The Northern Ireland netball international will undergo surgery for a torn ACL in late November. “Losing Ciara Cooke is of course a major blow but we are still confident that if the players we have perform to the best of their ability we can make it through to the quarter finals,” said Elks coach Deirdre Brennan. “We are deeper than we were last year with our bench well able to not just contribute but genuinely make a difference in games. The Elks team boasts three sets of sisters in Ciara and Muirin McCreanor, daughters of ex-Belfast Star player Brian McCreanor, Irish international sisters Anna and Enya Maguire and Aoibheann and Ciara McCarvill. They are joined by Irish international guard Brianna Mulhern and her St Genevieve’s teammate Nicole McKeown. The Elks have been unstoppable in the BNI League, unbeaten last season and winning the Cup and League double. They already have 167 points and two wins on the board after two away games this season at Queen’s and Dungannon – but they face a massive step up in class this weekend. A first or second finish over the weekend will see the Elks progress to a quarter-final on the first weekend of December. 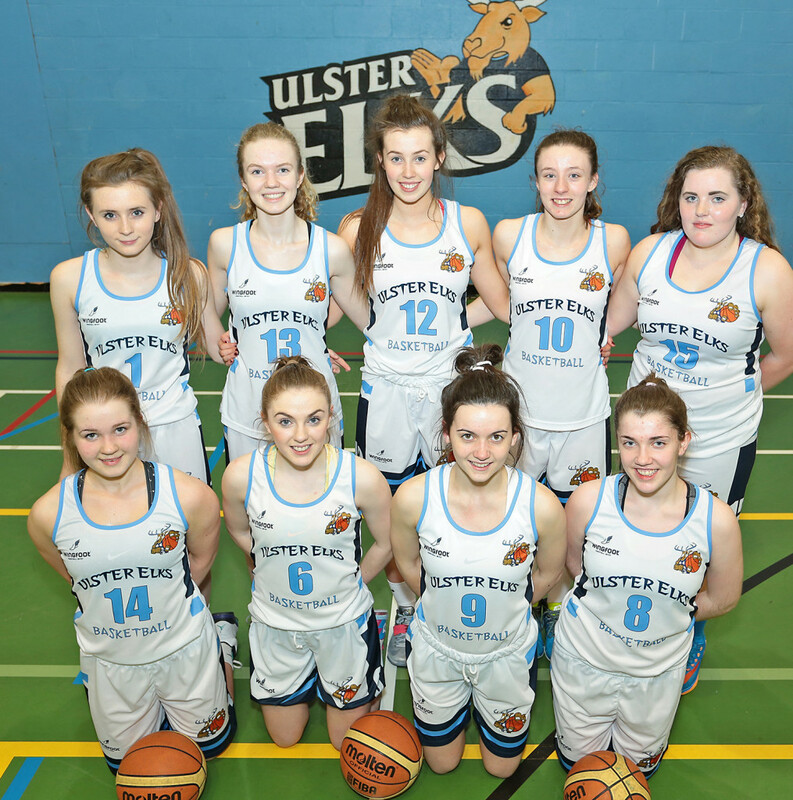 So, get down to Jordanstown at the weekend to see some top-drawer basketball and see if this talented bunch of U18 girls can take another massive step up the basketball ladder.